Talent drives strategy in the digital era. Is HR ready? What is the future of your company? Better yet, who is the key to the future of your company? Most executives recognise the competitive advantage of talent, yet the talent practices their organisations use are vestiges of another era. Work and organisations are becoming more fluid, and business strategy has come to mean sensing and seizing new opportunities in a constantly changing environment. The time has come for every CEO who wants to succeed in his job to take charge of talent. Our goal with this book is to provide a playbook that will help you deploy human capital as effectively as financial capital. A people first company relies on the work of small cross-functional teams that come together. Flattening the organisation will stimulate creativity and personal growth. It creates speed. By outlining the CEO playbook, we focus broadly on how you must reimagine your company to successfully manage, hire, track, monitor and support the people who ultimately are the value creators in this new digital age. We call this G3, which includes the chief executive (CEO), the chief financial officer (CFO) and the chief human resources officer (CHRO). By putting talent and finance on equal footing, the G3 will change the way and sequence in which these critical matters are discussed. You need the support of the critical 2%, the very best in the organisation, to succeed. Transforming your company into a people first organisation is an arduous, time consuming job. The role of the board is often underplayed in discussions around talent. A committed board can help you recruit, maintain and retain your critical 2%. Many forward-thinking companies have a people committee. According to a 2014 survey of the US-based National Association of Corporate Directors, two-thirds of companies have no formal succession plan. A CEO and the board cannot be better than their team. It is like being an editor and having a bunch of bad writers. A company’s talent story is not about stars. In a turbulent world, it can signal stability. When strategy was paramount, organisations were designed for control with little attention to velocity of decision making. In an unpredictable world, reorganisation is a way of life. All leading companies must have three elements—they must be organised for agility, for platforms and networks and for meaning. Agility is often seen as the opposite of stability. True agility will make your company more stable than a traditional hierarchical organisation. Structurally, more people are deployed in customer facing teams while fewer people attend to centralised oversight of corporate profit, strategy and direction. If agility is the philosophical underpinning of a talent-driven organisation, platforms are the structural foundation. All the reorganising in the world won’t unleash the talent inside your company if employees do not believe in the company’s mission. Teamwork, platforms, meaning are the foundational elements of any substantial reorganisation. Before you launch a company-wide programme, you and your CHRO must map out the behaviours and mindsets that are most prevalent in the organisation. A talent-driven value company will design the organisation for agility, it will think platform, not structure, it will make work meaningful and it will understand the social architecture. Excellence in judging people and matching top performers to the jobs they most value. A sixth sense for diagnosing how an organisation is functioning. The intellectual curiosity to search for external talent. Leadership through development in line roles. The capacity to be part of the G3. No desire to accumulate power for prestige or ego. The courage to promote young talent. The sensitivity to work with the CFO and CEO. Most HR data is backward looking, reporting on the past performance of talent. We may be in the era of predictive analytics now. CHROs of the new generation see that HR is a field where creative leaders can have a real impact on the business. HR has two components, one that focusses on strategy, spending its time on leveraging talent and the second that spends its time and resources focusing on operational and transactional HR functions. 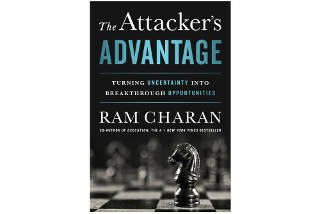 In far too many companies, the obligatory transactional work drains time, energy and resources from strategic work. In a talent-driven company, the advisory business partner role should be replaced with one where someone can drive strategic talent decisions. We call this person a talent value leader. CHROs typically get paid about 60% of a CFO’s salary. So, if we want to up HR, we need to get good CHROs and pay them well. Very few of Fortune 500 CEOs are ex CHROs—Mary Barra of General Motors, Anne Mulcahy of Xerox, and Harald Krüger of BMW. 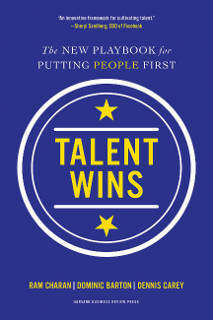 Forward looking companies will reorganise to create an environment in which talent excels. Predictive analytics does not replace common sense judgement. It supplements and improves on it. Millennials wanted their feedback more frequently and more tied to a specific project. The top 1% in a company generates 10 times the average output, and the top 5% generates four times the average output. Training cannot be a sideline enterprise at a talent-driven company. Skills obsolescence is a reality everywhere. Training keeps talent up to speed technologically. You need a culture across the entire spectrum that understands digital. When companies hire from outside, they do so without considering how the outsider will disrupt current culture and how the current culture will accept or reject the new person. Consumer tastes are changing faster than ever. Competitors are sharper and more efficient than ever. Technology threats arise faster than ever. Talent, armed with skills of the future, is in demand more than ever. Peripheral vision is a deeply misunderstood skill that has never been more important. Technology breakthrough can come from anywhere, industry boundaries are blurring. Recruiting is a global endeavour now. The auto industry is proof positive that well-defined business segments can be disrupted anytime. Today it is more TAAS (transportation as a service). A talent-driven company built around small teams does away with the command and control structure of hierarchical organisations. The CEO is the best talent scout for a company. 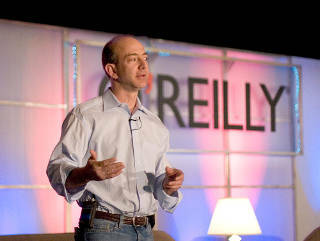 He has to play that role given the high visibility with customers, investors and partners. 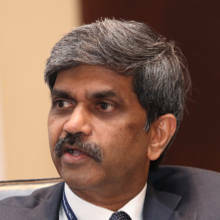 Before his current assignment at Aditya Birla Group, Shivakumar was Chairman & CEO at Pepsico India. Prior to that he was Managing Director at Nokia India. Before joining Nokia, he worked with consumer electronics maker Philips and top consumer goods firm Hindustan Unilever. He is an engineer from IIT Chennai and an MBA from IIM Calcutta.